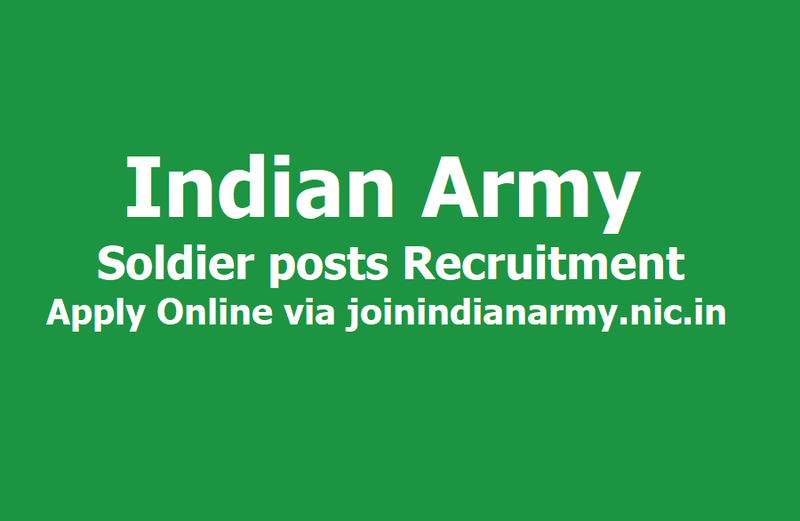 Indian Army Soldier posts Recruitment 2019, Apply Online via joinindianarmy.nic.in: Indian Army has invited candidates to fill up Soldier posts through the Army Recruitment Rally. Candidates who want to go for this job can register themselves through the official site of Indian Army at joinindianarmy.nic.in. The registration process will commence from April 4 and will end on May 18, 2019.